For some reason, BMW has decided the world needs a car between its X1 small crossover and its X3 Also-Small Crossover. So here’s another small crossover for when a small crossover and a small crossover just aren’t enough. 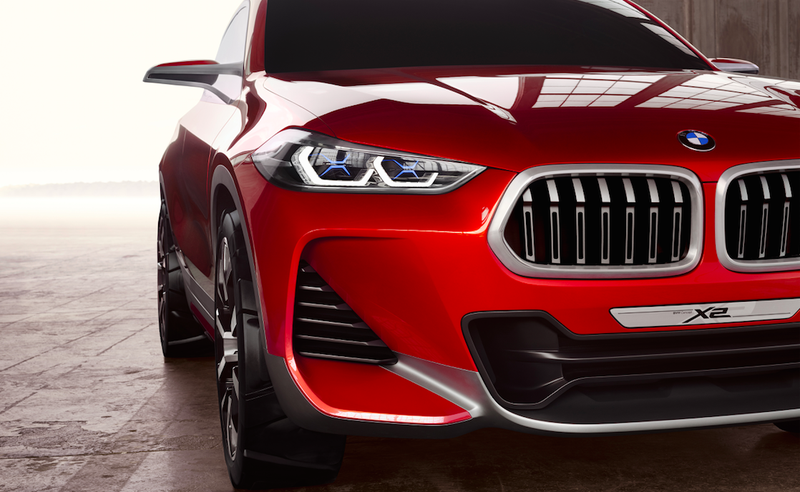 It’s the BMW Concept X2, and it looks angry, like it wants you to die. At the Paris Motor Show today, BMW showed off a design concept for its X2, a model which the brand plans to sell in the spring of 2018. In typical BMW fashion, the press conference for the “Sport Activity Vehicle” included heavy use of words like: precise, dynamic, athletic, distinctive, focused, modern, striking— and other subjective words that could literally apply to any car ever made. But hey, that had to fill the time with something. The BMW Concept X2 is a vehicle for active people looking for a combination of enjoyment and practicality. Pretty insightful stuff, there, Senior Vice President BMW Group Design, Adrian van Hooydonk. All kidding aside, the X2 looks pissed, and that’s not a bad thing in a crowded segment like this one. I’m all for anything that will make this thing more distinct, as it’s all but certain the X2 will share a platform and powertrains with its smaller X1.